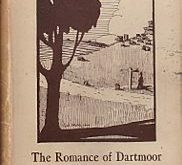 Here is a poem that speaks of a man’s desire to be up on the open moor where his soul is at home, it’s a sentiment dear to many a moor-lovers heart. If you can detect a hint of history running through the lines that is because Alexander Henry Abercromby Hamilton had a passion for it and in 1892 was president of the Devonshire Association. Leap down to the sea.